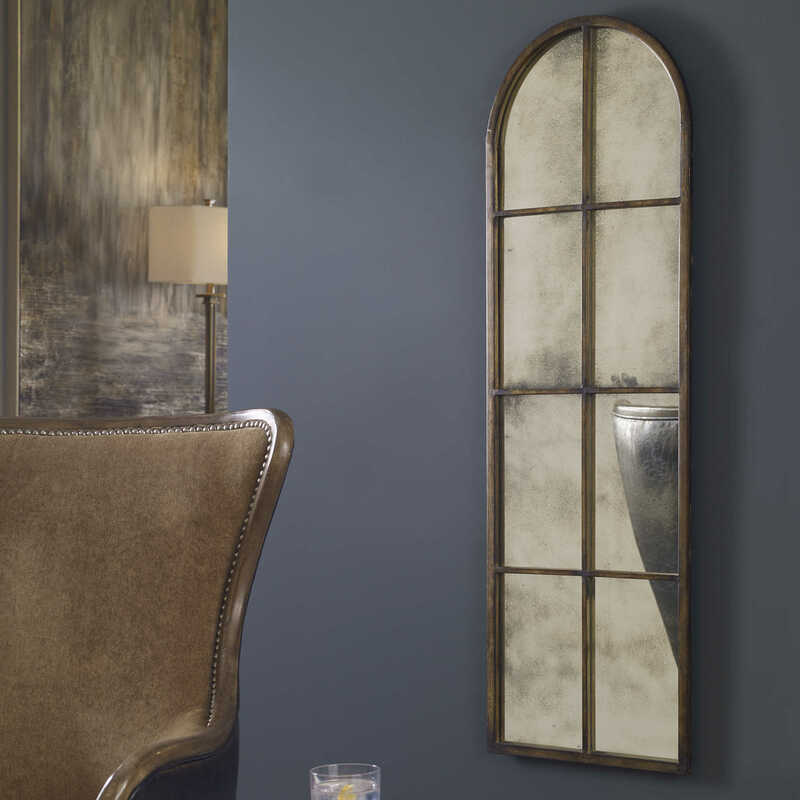 This antiqued mirror features a hand forged metal frame finished in a heavy, maple brown wash with gold highlights and burnished details. Sold individually. Shown are three pieces of #13463.